Our soil conditioner is produced by the aerobic windrow technique. This concentrates organic matter and leaves the nutrients to be slowly released into the soil as and when your plants require them. 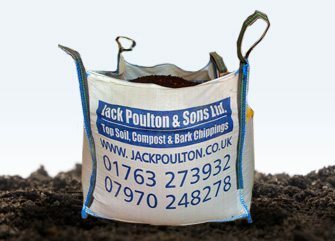 The use of this recycled product enables valuable humus and nutrients to be returned to the soil. It can also be used in place of peat, which is good news for our diminishing peatland habitats. During production the materials are shredded and screened a number of times removing undesirable substances and speeding up the composting process, and temperatures are constantly monitored to guarantee a regular 65-72 degrees centigrade is maintained. This ensures that weed seeds and pathogens are killed off. Thereby producing a compost we sincerely believe is second to none. 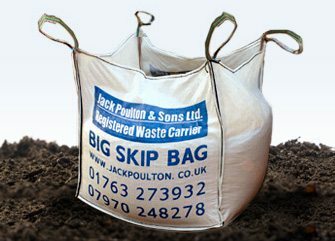 All soil conditioner are available in jumbo/bulk bags (approx 1 ton) or can be delivered loose in quantities from 2 tonnes upwards. Please call 01763 273932 for more details.